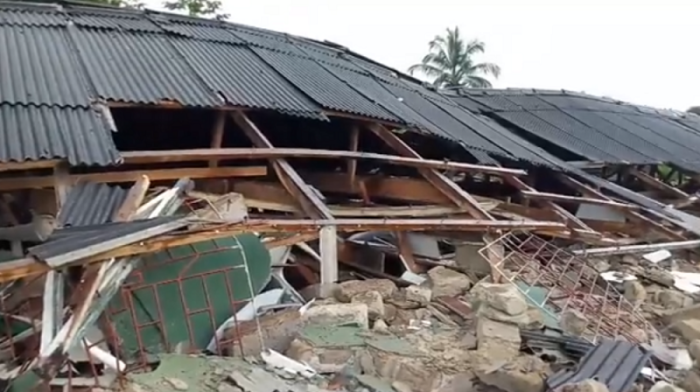 A Nigerian church service turned deadly this past Sunday after a church building in the Delta State collapsed on the congregation's faithful during morning mass. An 11-year-old drummer was killed and at least 11 others were injured and taken to a local hospital after St. Paul Catholic Church in Adagbrasa began to implode around 7 a.m. According to The Guardian, the child drummer, Jeffery (Jerry) Enukanehire, died as a result of sections of the church building's wall falling on top of him during a worship and prayer session. The boy's father, Jefferson Enukanehire, told the news outlet that the church had just finished the morning prayer when the wall collapsed on his son. "We had gone for service in company of my wife and five children, when the unfortunate incident occurred," Jefferson Enukanehire was quoted as saying. "The wall on the left side of the building collapsed and subsequently pulled the other sections of the building down on the worshippers. My son had succeeded in freeing himself from the initial wall that fell on him, when another section of the building fell and crushed him to death." As for the others who were injured, The Pulse reports that at least seven have been discharged from a local hospital and four others were hospitalized in stable condition. Commissioner for Works James Augoye explained in a preliminary report that the church building was over 100 years old. "[I]n an attempt to rebuild and expand the church, the old church building collapsed as a result of heavily soaked waters occasioned by the weight of worshippers who leaned against the walls while the early morning mass was on," Augoye explained. Delta State Gov. Senator Ifeanyi Okowa has announced that the state government will pay the medical expenses of the victims of the church collapse. "While we pledge to pay the cost of treatment for the injured, people must ensure they seek necessary approvals before construction of buildings particularly public structures to avoid [incidents] such as this," Augoye warned. Nigerian Senate President Bukola Saraki said in a statement delivered through his communications advisor that Muslims, Christians and other people of faith must come together to provide relief for the impacted community. "This tragedy affects us all and we join the Catholic community to mourn the deceased," Saraki said, according to Vanguard. This is not the first time a church collapse has taken lives in Nigeria as it has been a well-documented issue that has claimed the lives of hundreds over the last couple decades. In 2016, a church roof caved in and killed about 160 people in Uyo. In 2014, about 116 people were killed in Lagos after the collapse of televangelist T.B. Joshua's church. The Associated Press notes that the Nigeria Society of Engineers has attributed the church collapsing problem to building code violations and use of substandard materials.